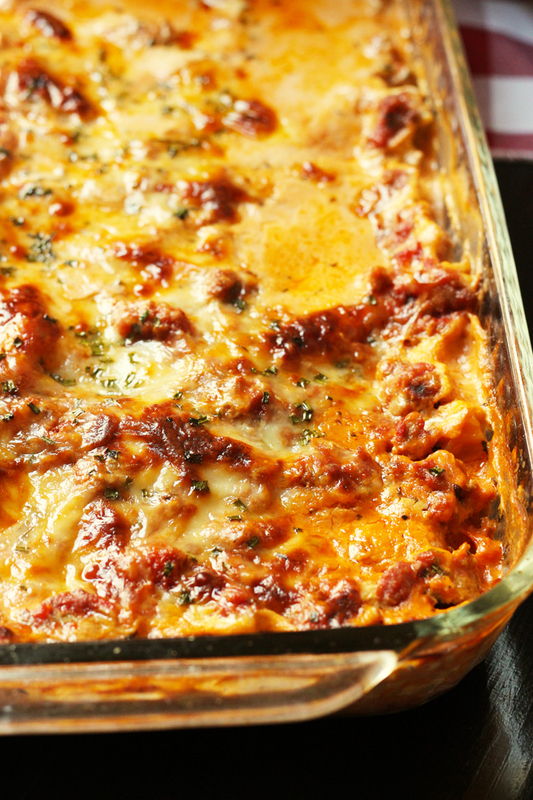 This Easy Lasagne comes together easily and is very freezer-friendly. You’ll please all the crowd when you set this casserole on the table! For several years I subscribed to an organic produce co-op. At first it was really hard to make use of all the weird stuff they put in the box, but over time it gave me all kinds of motivation to be creative in the kitchen. And abundant reasons to make my kids eat their vegetables. We gave it up when the drought got really bad, but I’m reconsidering it now that things are looking up for California. I have fond memories of digging into each week’s box and unearthing some new treasure. Some of those treasure the first season were bundles of garlic chives and fresh basil. Such a luxury to have fresh herbs! I know, they should be easy to grow. But, with six kids and a busy home, my thumbs have turned all brown. So, I’m happy to let someone else do the growing. and watering. and weeding. And I’ll just reap the fruits of their labor! 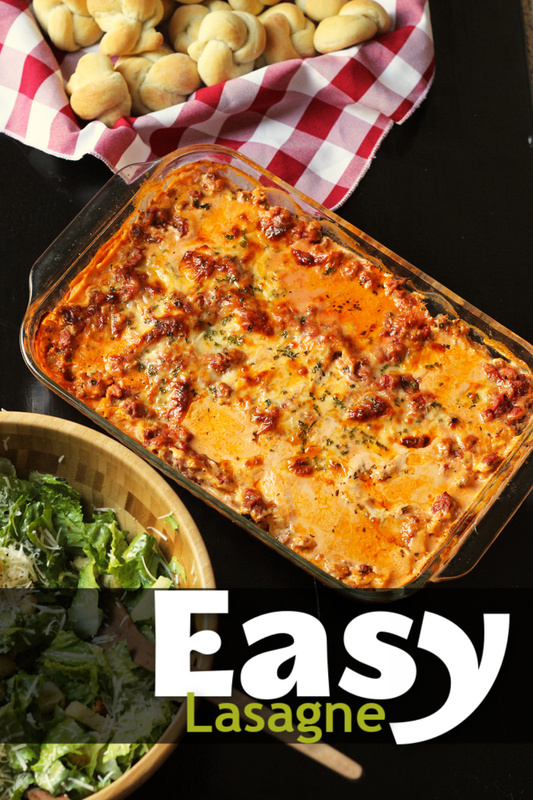 How Do You Make Easy Lasagne? One successful creation from my produce box season of life was this easy lasagne flavored with fresh garlic chives and basil. It is a huge hit with the lasagne lovers at my house. And it was so easy to make! The best thing is that I can make three or four casseroles at one time. We eat one for dinner and then I stash the other three in the freezer. It doesn’t take that much longer to make more, but we reap the benefits over the next month or two by having a stash to draw from. Freezing lasagne is just one way my freezer is my BFF. Stock up on ingredients when they are on sale. When you see a good price on tomato sauce, beans, or your favorite meats, buy a few extra to stash for later. You know you’ll use them. It’s a great way to cut your grocery bill without clipping a single coupon. Cook your own beans. It’s a lot cheaper to cook dry beans than to buy canned. Recently I’ve started using my electric pressure cooker for beans and it just may be a game changer. 9×13 Pyrex pan – I love the ones that come with plastic lids. It makes freezer cooking so much easier! Ergo Chef chef’s knife – I’ve had these for years and they work great. 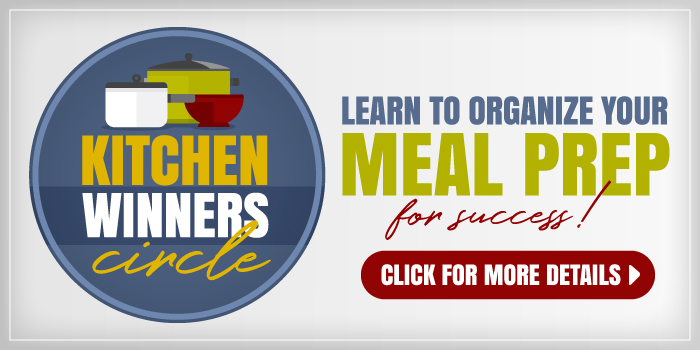 nonstick skillet – When you find a chef’s pan you love, buy two! I did. box grater for cheese or a food processor – If you’re making a lot of lasagne for freezing, the food processor is a must! 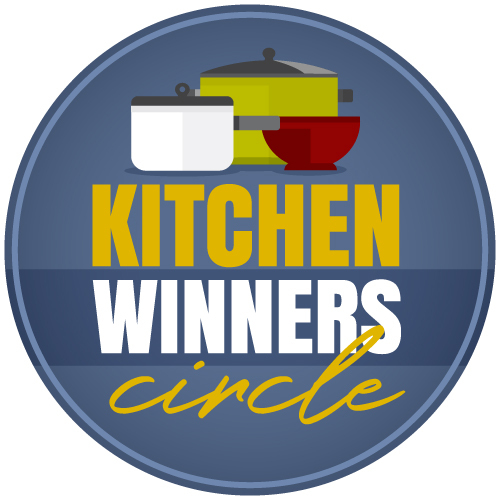 Small Kitchenaid saucepan – I got a set of these pans for free in 2004. We still use them! After you’ve made the recipe, I’d love for you to come back and give it a starred rating in the comments below. Thanks so much for your feedback! 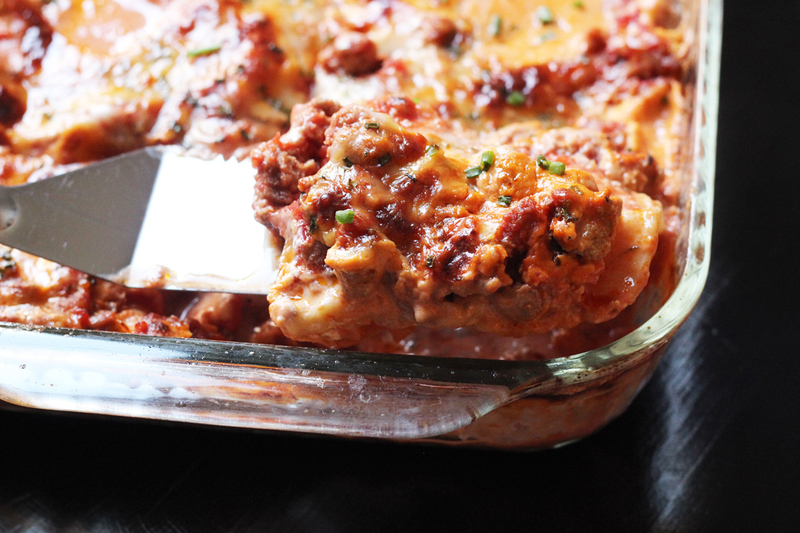 This delicious make ahead beef lasagne is flavored with fresh basil and garlic chives. It comes together easily and is freezer-friendly. Grease a 9×13-inch pan. Preheat the oven to 400°. In a large skillet, cook the ground beef, salt, and garlic over medium heat until the meat is no longer pink. Stir in the crushed tomatoes, basil, 2 tablespoons garlic chives, and water. Set aside. In a small sauce pot, heat the chicken broth. Add the cream cheese and whisk to blend until smooth. In the prepared pan, spread one half of the meat mixture. Sprinkle 1 cup mozzarella cheese over the meat. Lay half of the uncooked noodles over the cheese. Pour the cream cheese mixture over the noodles. Sprinkle 1 cup mozzarella cheese over the cream cheese mixture. Lay the remaining uncooked noodles over the cheese. Spoon the remaining meat sauce over the noodles. Sprinkle with the remaining cheese. Sprinkle the remaining 1 Tablespoon chives over the cheese. Bake the lasagne for 40 minutes. Allow to set for 10 minutes before serving. Note: the lasagne can be frozen prior to making. Chill it before freezing for best results. Thaw the lasagne completely in the refrigerator before preceding with the baking instructions. Yummo, can’t wait to try! Never heard of garlic chives. Will have to shop around for that. My mom grows garlic chives and gave us lots when we lived in Ohio. I agree, yummy!!! 🙂 Your lasagna looks so delicious. Just made this recipe for the first time and it was delicious. Thank you! Are the lasagna noodles the “no boil” kind or the regular noodles? @Emily, I have always used regular and it works out just fine. 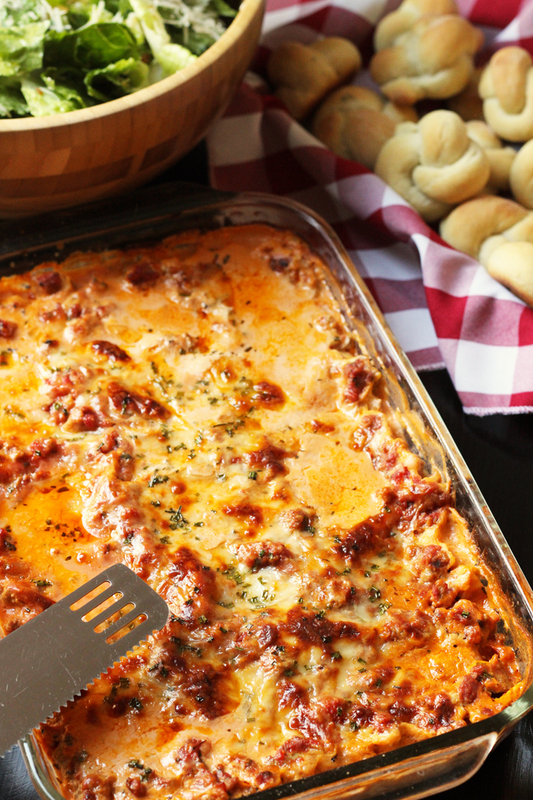 This is the best lasagna ever! This looks so great, can’t wait to try! Our farmers market has garlic scapes in the spring, but I’ve never seen garlic chives. Any suggestions on how to sub for them if I can’t find them? Regular chives should be fine. I love your Lasagna recipe. I have never used cream cheese before only ricotta and cottage cheese. I love the flavor and creaminess that the cream cheese gives. I have been trying it with Eggplant instead of noodles lately (because we have more eggplant that I know what to do with from my garden). My family loves it (escpecially my mother in law). 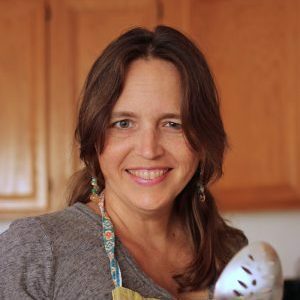 Thank you for great recipes. Thanks for your kind words! Bon appetit! If my family would eat the eggplant, I would totally give that a try. How did you prepare it? I would love to know how you prepared it also since I can’t eat noodles. Eggplant would be a great substitute. Can you give details on how you prepared with eggplant? I’ve made some lasagnas with sliced zucchini, squash, and eggplant. These were in addition to the noodles, but I know you can make them without. Also, I recently saw that you can get egg cauliflower crepes to use as a noodle substitute as well. This sounds really delicious! My husband doesn’t like the ricotta and cottage cheese versions of lasagna, so this will be great to try. 🙂 Since this is covered for chilling in the refrigerator, do you keep it covered to bake? Is it covered for just a portion of the bake time? Thanks! No, I usually uncover to bake, but if you prefer to uncover for half, that’s fine too. Do the uncooked noodles work fine whether baking or freezing first? I’ve never had trouble with them. As long as there is abundant sauce, you’re good. I’m not sure how I’ve gone this long without trying your lasagne recipe, considering I love your other recipes I’ve tried. This is one delicious dish and the best lasagne I’ve ever made. I used up a bunch of parsley we got in the veggie box and was so glad to have a dish that received the parsley so well. We also used regular green onions, ’cause I didn’t have any chives. Didn’t have the fresh basil either, but it was just fine with the dried basil I had on hand. You sure cooked up a winner when you put this recipe together. So good. Oh and we like our sauce a little sweet, but instead of sugar we used liquid Stevia, 14 drops this time, but next time I think I’ll keep it at 10 like I do for our homemade pasta sauce. I just assembled the lasagna and I can’t wait to taste it. It smells amazing and the meat sauce was delicious! A quick question about the chicken broth and cream cheese mixture…I heated the mixture and it was very runny. I wasn’t sure if this is supposed to be a runny mixture or if I should have used regular cream cheese instead of light? Thanks so much for all of your delicious recipes! It should be fine. It is a really thin liquid but thickens up when baked. Hope you love dinner tonight! Ok, so this is my first time ever really paying attention to a blog. Recently I’ve decided to get my groceries and meals in order so that my LO is eating and I have something for lunch lol. THIS RECIPE IS BOMB!!!! This meal plan was my first to try and this is by far a family favorite! When I make my trip to the store again this will definitely be something I stock up on so that I have it handy. I have to admit I was leery of this recipe but it was sooooo good. I had the no boil noodles in the pantry and I used jarred sauce cause I did not have canned tomatoes. 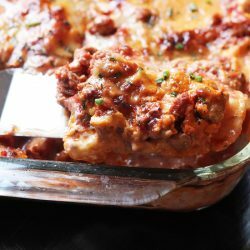 I love lasagna and this is my favorite recipe so far. I’m so glad you liked it! What made you leery? Just curious. I’m so glad to hear it! When you have a minute will you pop back to the post and click the number of stars in the comment box? That will give it a starred review. Thank you for your feedback! Made this a froze it. It was amazing! My husband said it’s the best lasagna he’s ever tasted. Thanks Jessica.